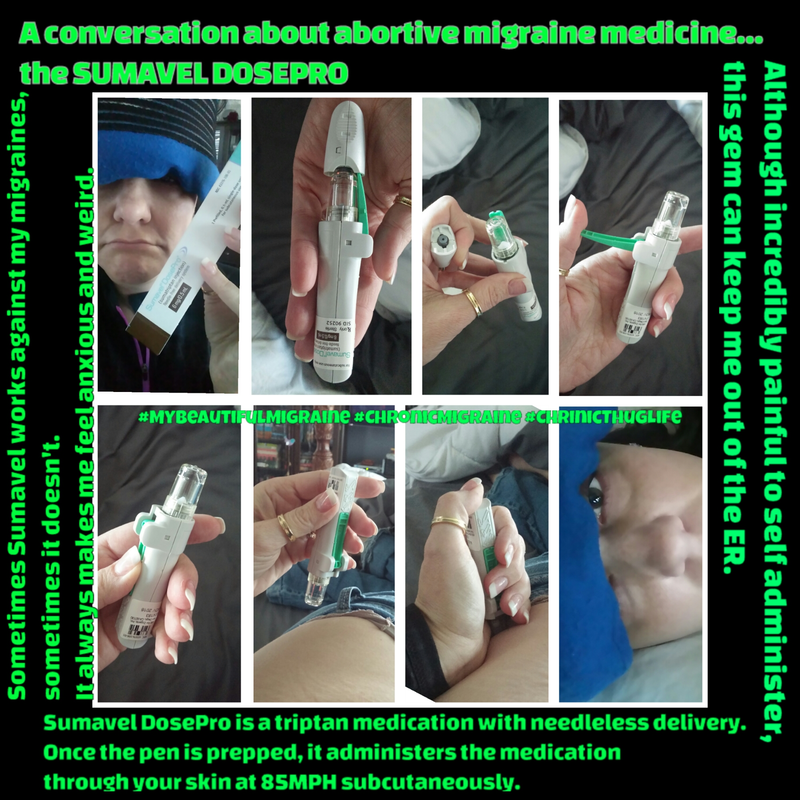 Abortives are taken at onset of migraine. Mostly these are triptan medications and NSAIDs. Rescues are taken when abortives fail. This handy Sumavel doespro comes in very handy when I’m dying with migraine and my oral triptan fails. But, it hurts like a glock shot in the a** and the noise and pain send my anxiety thru the roof – not helpful for migraine pain. As soon as the gun goes off, and I recover with screaming from the pain, I can feel the med traveling thru my body. My core, my legs, my arms, and then up into my head. It feels *heavy*…it almost feels like it’s paralyzing. If I rest and let it work, it’s not as frightening.